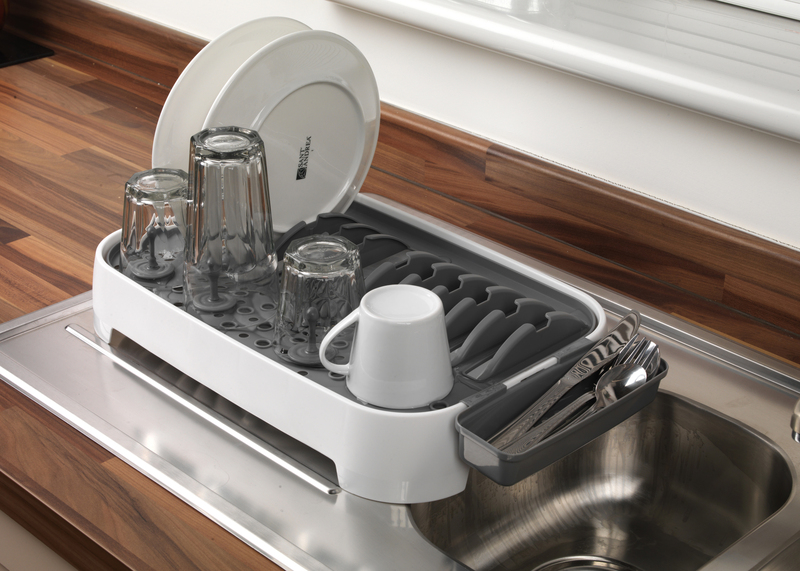 Enjoy hassle-free washing up after a dinner with this Beldray Dish Drainer, perfect for smaller kitchens or camping. 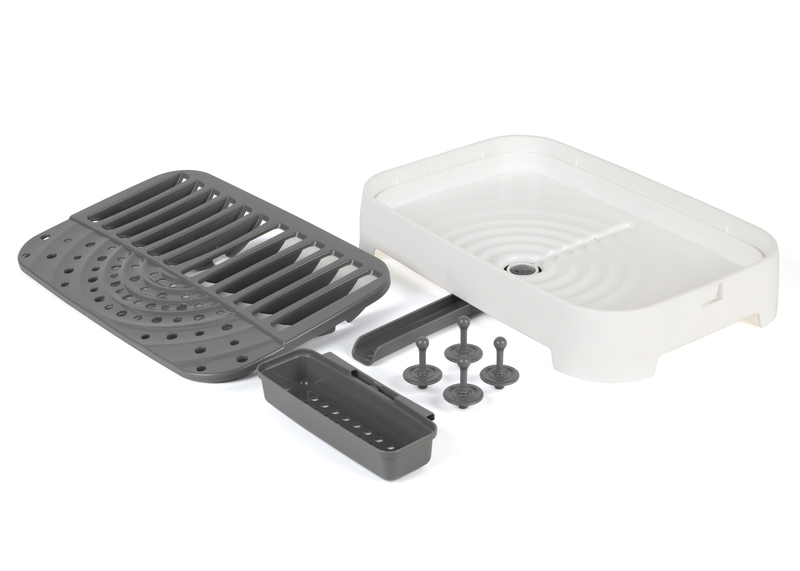 Cleverly designed, the outer bowl catches the water and releases it through the 360° pivot spout so you can place it anywhere and drain the water directly into the sink. 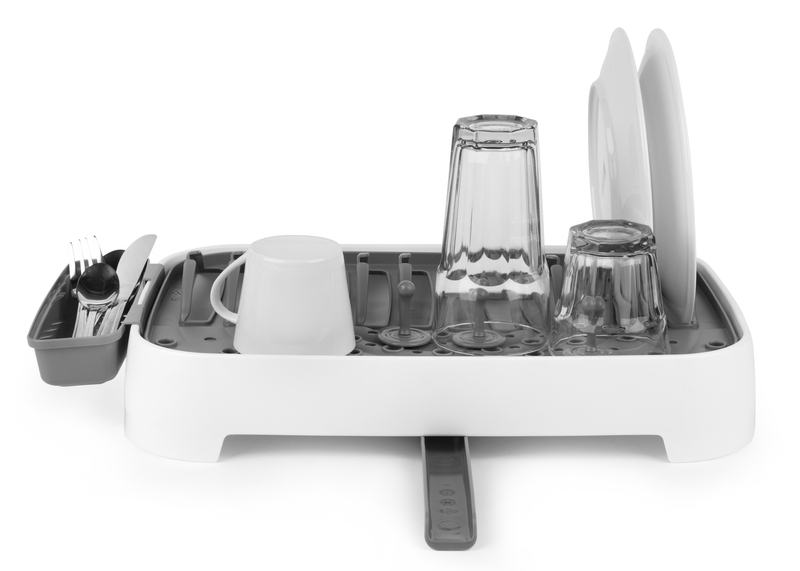 With room for plates, bowls, mugs and cutlery, it is ideal for everyday use and is double sided so you can prop plates up using the ridges, or flip it over and use the flat side to dry larger items such as pans. 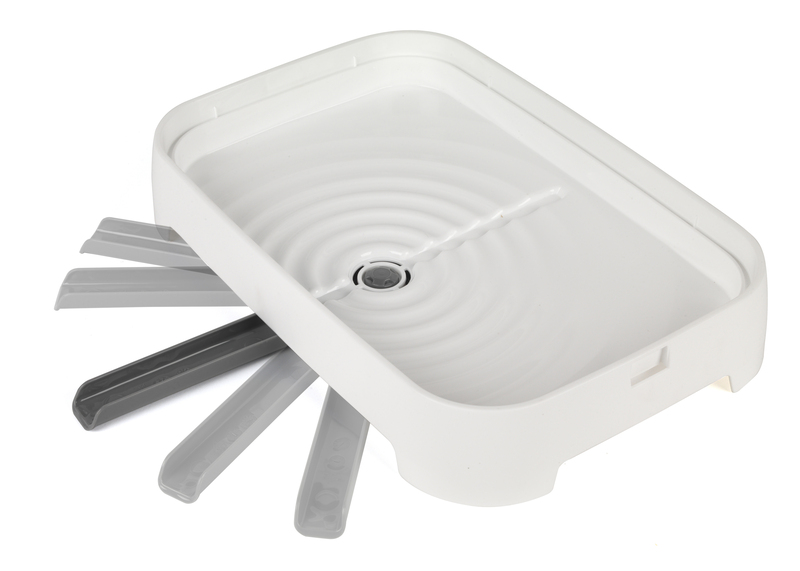 Ideal for your home, caravan or camping, this Beldray Dish Drainer is an essential everyday item, with a compact, convenient design. 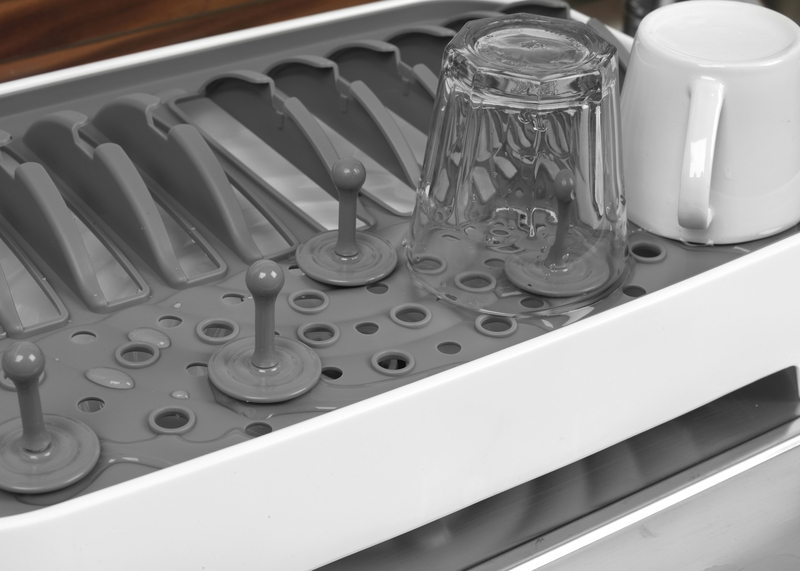 With a detachable cutlery holder and crockery pegs, the drainer will help to separate your dishes to help them dry effectively. 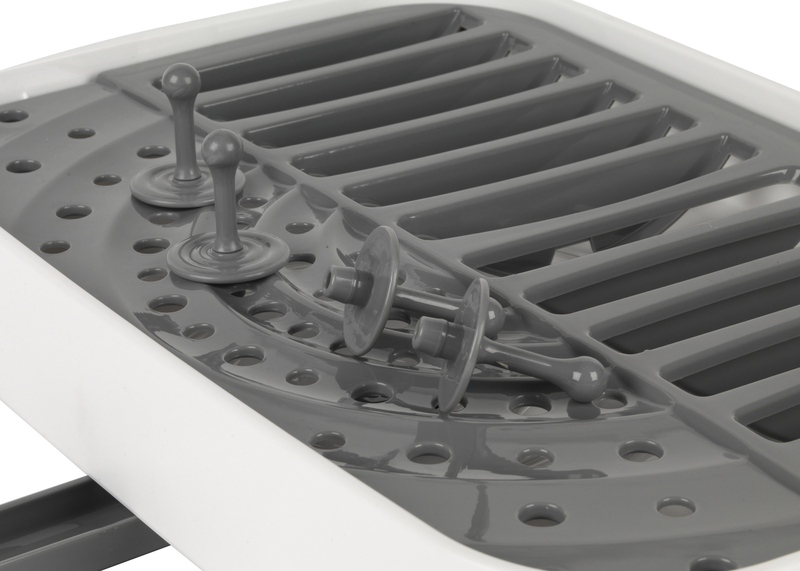 The drainer sits on a bowl which collects the water and releases it through a 360° spout so you can dry your dishes wherever you are. 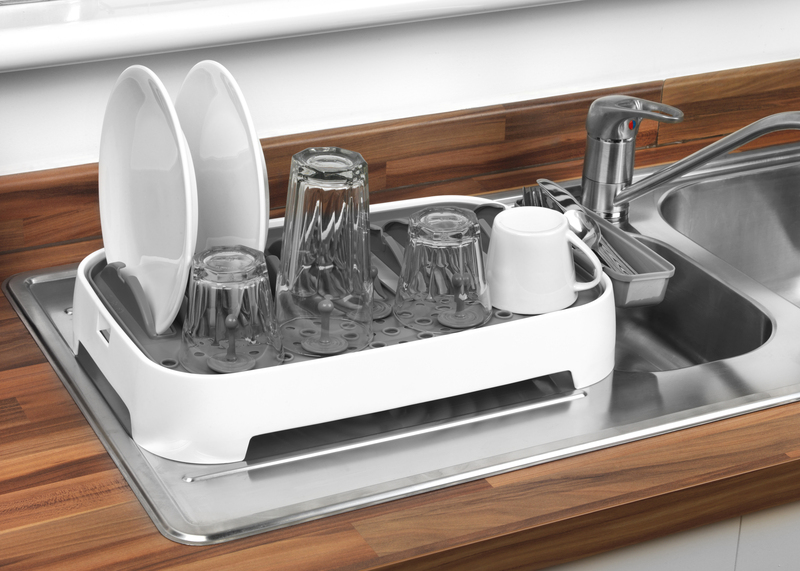 It measures 48l x 28w x 10h cm, so you can keep it by the sink or a corner of the kitchen without it taking up too much space. 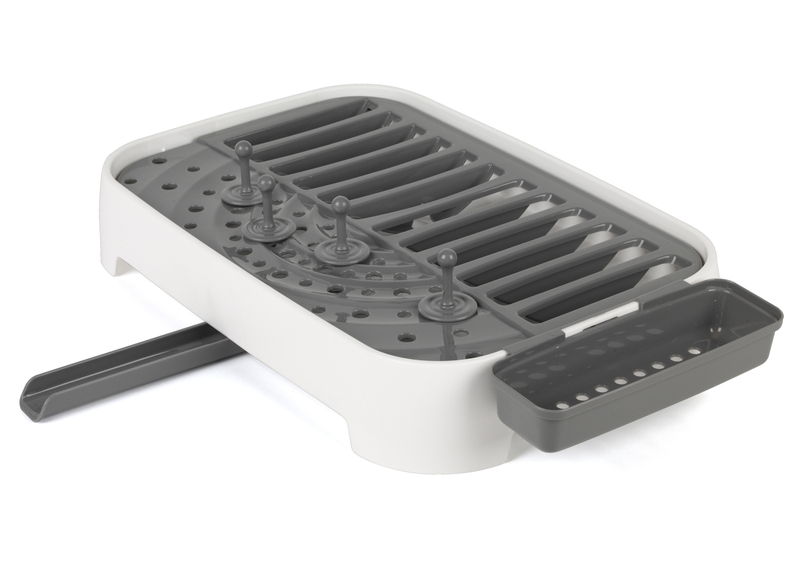 Featuring a reversible design, it has a rack on one side for holding dishes upright and a flat surface on the other for drying pans.